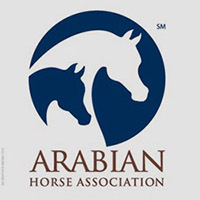 The Arabian Horse Foundation has announced the names of 51 scholarship recipients for 2008. 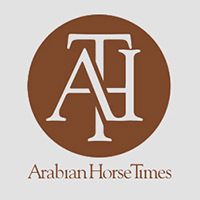 The scholarships total nearly $30,000 and are the first scholarships awarded since the Foundation was re-launched at the Arabian Horse Association annual convention in November, 2007. “We’re pleased that we could award so many scholarships,” stated Nancy Harvey, AHF board member who, along with board member Jim Cada, chaired the Scholarship Committee. “It is good that we could spread the funds so that more people will benefit from the scholarship money,” Cada added. Applicants were judged based on established criteria. The Foundation has three other areas for gift giving: General Education, Equine Research, and Horse Displacement and Re-homing. A direct mail campaign as well as individual solicitation is underway to raise funds so that other needs can be met. The members of the board, in addition to Cada and Harvey, are Frank Galovic, Lollie Ames, C.A. Butler and Larry Kinneer, who serves as President. The Arabian Horse Foundation is the philanthropic arm of the Arabian Horse Association, which is based in Aurora, Colorado. More information about the Foundation and its mission, goals and objectives are available at www.arabianhorsefoundation.org. Brittney Kaiser, Louisville, CO; Meagan Fleishman, E. Longmeadow, MA; Alexis Nedurian, Muncy, PA; Rebecca Wallsch, Goddard, KS; Sarah Schroeder, Wilsonville, OR; Carly Gillingham, Bedford, TX; Stephanie Schroeder, Douglas, WY; Dylan Bunge Meyer, Cedar, MN; Melanie Ray, Wichita, KS; Mimi Stanley, Bismarck, ND; Anna Schumacher, Thompson, ND; Michelle Heinz, Cleveland, OH; Kirsten Kimbler, Aberdeen, SD; Ricki Rae DeAngelis, St. 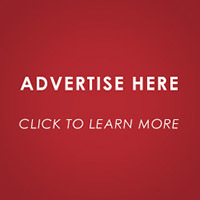 Cloud, FL; Megan Herr, Fullerton, CA; Jay Hannah, Fort Smith, AR; Rachel Ann Uliano, Midlothian, VA; Jenna Kay Carlson, Milbank, SD; Kyle Christian-Dold, Durango, CO; Karla Simpson, Denver, NC; Kristin Hamway, Howell, MI; Charline Elizabeth Watson, Bethlehem, GA; Justine Ameye, Randolph, NJ; Kimberly Joy Luebcke, Peoria, IL; Kristin Rose O’Daniel, Inver Grove Heights, MN; Kelley Treiber, S. Lake Tahoe, CA; Amber Burton, Okmulgee, OK; Jesse Burton, Morrison, OK; Brianne Meyer, Maiden, NC; Kristina Netherwood, Folsom, CA; Bryan Buccieri, Greenfield, IN; Alexandra Sternecker, Roanoke, VA; Melissa Bates, Kewanee, IL; Haley Naugle, Davidsville, PA; Diane Streiff, Houston, TX; Tegan Jo Buckley, Becker, MN; Heather Michelle Miller, Ocala, FL; Laura Valdmanis, Prior Lake, MN; Sean Thurm, Grundy Center, IA; Cynthia Weeks, Lodi, OH; Christina Rapken, Kansas City, MO; Jessica Selchow, Minneapolis, MN; Ashley Erb, Neosho, WI; Kaitlyn Fisher, Clint, TX; Auriel Marie Overall, Tucson, AZ; Victoria Rose Keilman, Crown Point, IN; Kelsey Reimers, Orchard Park, NY; Sunshine Townsend, Pleasant Hill, CA; Caitlyn Purcell, Terrell, TX; Cassie LeFever, Hudson, WI; Jackie Renschler, Marwayne, Canada; Jordan Lee Owen, Arvada, CO; Gloria Onate-Kemnitz, San Bernadino, CA.